SecurityLink India (SLI): What is the entity called Maha Infotech Pvt. Ltd. (MIPL) and what is its unique selling proposition? Prasad Patil: Maha Infotech Pvt. Ltd. (MIPL) was founded by me and my Co-director, Sudhir Deshpande – almost 18 years ago. MIPL primarily provides IT and security consultancy, and we focus on the application of technology to solve information challenges and mitigate security risks. SLI: Kindly give a brief about some of your flagship projects? Prasad Patil: We have been very fortunate to be involved in some extremely challenging – and hence satisfying – projects, especially in the security domain. We pioneered the concept of safe cities in India with our Nanded Safe City project, which was a true safe city project that happened in 2012 – much before even Mumbai! It involved not only video surveillance but also public address, panic switches, a unified command and control, and a network that was completely owned by the city. The project won several awards in India and internationally. Another very interesting project we designed was the Tank Truck Locking System (TTLS) project for an oil & gas major in India. TTLS involved the application of technology to eliminate instances of adulteration and pilferage in the transportation of fuel from terminals to retail outlets. Several technologies were used in the project such as secured locking, global positioning system (GPS) based vehicle tracking systems (VTS) and a customized application that would generate one time passwords (OTPs) etc. The substance of satisfaction that we achieved during this project was the opportunity to help solve a very real social problem – and a problem that is absolutely unique to India. It was the first time that this technology was applied to the oil & gas transportation sector anywhere in the world! SLI: What are the challenges that, as per you, prevail in Indian Security and Safety market? What are your recommendations? Prasad Patil: The challenges are multi-fold – the first and foremost being the lack of knowledge and skills. This is a genuine challenge and one that is holding back the growth of the industry. The upgradation of knowledge and skills is imperative for any industry to succeed. This can happen only through upskilling across the board, across all the stakeholders of the industry, and all of us regardless of our role have to be involved in it. If an industry is not upskilling, it is slowly killing itself. The government has a role to play here in terms of standards and certifications. It is great that Bureau of Indian Standards (BIS) has now established standards for surveillance cameras – but it is only the beginning. 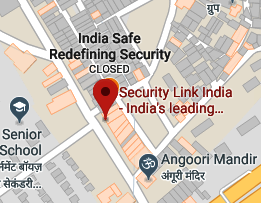 Eventually we need to have Indian standards for even security installations. Similarly, there must be certifications mandatory for providing security technology services. Very often, those involved in the design and application of security technology projects have little understanding of the technology per se, which leads to project delays, time and cost overruns, and eventually all-round heartburn that affects the growth of the industry. SLI: What is your take on the status of the Government’s 100 smart cities projects as on date? Prasad Patil: The rollout of the smart city program has certainly been tardy. My frank take on the smart cities project is that it is too focused on technology. It is almost as if the technology is the end and not a means to an end. A successful smart city program can be evaluated only by its impact on the quality of life. That has to be the objective and not just spending tons of money on technology that we may not need. Also, there has to be a serious thought to sufficiently customize – or ‘Indianise’ – the technological components. Eventually, every urban or semi-urban, or even rural area would like to smarten itself. They also have to be empowered to do so. According to me SMART is an acronym that signifies Security, Mobility enhancement, Access to needs, Resource conservation and Training. The last part – Training – is the most critical part that can lead to genuine transformation. SLI: Being one of the leading safe city experts, kindly elucidate how far our cities are safe and smart on ground, and what are the delaying factors, if any? Prasad Patil: There is a lot being done on the ground to make our cities safer. Police and city administrations are certainly thinking in the right direction – in fact no government can afford to ignore issues of security and safety. So there is enough sensitization to roll out safe city programs. However, one must not equate a safe city with just installation of thousands of cameras. In addition to video surveillance, we need to use preventive, predictive and perceptive technologies. There is also a tendency to convert safe city programs into IT programs – and that should be clearly avoided. I also fail to understand why Indian cities spend so much money on leased networks, when at a fraction of the amount they can establish their own networks, which are independent, scalable and able to be leveraged by other applications. Citizen engagement is also a continuous and critical task and every smart city program should actively encourage the same to redefine and evolve the deliverables. SLI: What is your take on the safety and security culture in India, how it is important and how can that be built fast to commensurate with the growth of technologies to achieve better results? Prasad Patil: I am sorry to say – but there is no safety and security culture in India. ‘Safety First’ is often only a slogan for many and the mindset is ‘if there are any safety and security rules, they have to be followed by others, not by me.’ The only permanent solution here is to conduct education and awareness programs in our schools and colleges – at least our future generation will be more conscious about keeping themselves and the society safe. SLI: With India having a significant population of uneducated, unskilled and unaware people, and showing conspicuous lack of safety and security culture, how practicable is it to achieve our cities safe and smart? Prasad Patil: Jaan bacchi to lakho paaein – is a popular Hindi slogan. We have to build on this narrative that the human life is of paramount importance. Technology will help but it has to go hand in hand with training and practices. For example, it is noticed in a few of our safe city programs that traffic challans issued with footage in the control room have had the intended consequences within a few weeks – the traffic became less unruly. However, there is no shortcut – this is going to be a slow and gradual transformation. SLI: There is frequent news of security and fire safety lapses even at smart places and infrastructure causing big loss even when requisite deployments are said to have been done? Where do you find the fault and accountability? Prasad Patil: Yes, this is very unfortunate. One of the sectors that need urgent overhaul in India is the sector of safety and security auditing. First of all, do not conduct enough technical audits on completed security projects – and if we do, there is little accountability. The genesis of the issue is in the fact that we just do not have a robust certification process for security and safety auditors. Like the Hippocratic Oath taken by medical practitioners and the code of ethics accepted by chartered accountants, we must have security and safety auditors who are committed to their assignments. Above all of course, we have to pay them well – if they can earn a livelihood from the process, they will be truer to their tasks. SLI: How important is the role of human elements at least in a country like India in achieving the objective of safety and security amidst a wide scope of the use of technologies? Are we undervaluing them vis-à-vis technology? Prasad Patil: Technology is as important in a populous country like ours – as in less populated countries. In fact, it probably has more potential for application. The infallibility of technology is universally accepted. We must transfer mundane tasks of assimilation to technology – and retain informed decision making to human intervention. In fact, we are devaluing human elements, if we task them with activities that technology can easily achieve. SLI: Security is the basic entitlement for an economy to grow – how do you interpret the concept of security and safety in India in terms of necessity vs. business? Prasad Patil: I agree that there is too much focus on mere ‘compliance’ when it comes to security and safety. Indian organizations certainly must do more to protect their own lot. To begin with, they must empower security managers to undertake sweeping reforms in their security landscape to be in tune with modern risks. We may feel – ‘this may not happen to us’ – but that’s a sure shot way to risk lives and assets – as plenty of recent incidents suggest. So there is a need to shift the marker in terms of acceptable security and safety standards in places that we stay and work in. Efforts to upgrade security and safety should be seen as investments and not as expenses. SLI: Kindly give a brief about some of the most advanced and fitting technologies for security and fire safety implementations as on date? Prasad Patil: I would like to stress more on ‘fitting’ than on ‘advanced’ – because for a country like India, that is critical. Security technology providers around the world must understand the unique set of challenges that India presents and be flexible to tailor their technologies accordingly. I would like to mention the emergence of command and control software which are now gaining their rightful place due to the emergence of smart cities. They are essentially the heart of a security system and provide great value to the end users. Due to Shield Awards, every year we are exposed to some great work being done in our field. The Nashik Kumbh Mela security project in 2014 was a very well executed project and very successful in achieving the objectives it was set out with. The diamond bourse in Mumbai has a state-of-theart security operations center that is comparable to the best in the world. SLI: Indian security market is largely unorganized – what are its obvious impacts and what are your suggestions? Prasad Patil: The term unorganized is a uniquely Indian differentiator when it comes to industrial definitions. I do not particularly like it because it downplays the significant contributions of the small and medium scale sectors. Rather than the financial size of an industrial entity, we must look at the value addition it is providing, and from that perspective, everyone in the Indian security market is ‘unorganized.’ We have to encourage all stakeholders – small or big – to innovate, upgrade and take risks. That is the only way to make the Indian security sector truly sustainable. SLI: What is SECONA and how was it conceptualized? Prasad Patil: SECONA is the Security Consultants’ Association. It was formed in 2012, out of the recognition of the challenges that the security technology industry faces and the necessity to hear the voice of users in solving those challenges. The industry has suffered due to the multitude of security projects, which either remain incomplete or even after completion, experience irreconcilable issues. The causes are always related to lack of standards, certifications and skills. So that is a challenge we have taken on together. On the other side, good work is also being done and the same needs to be popularized and benchmarked. That formed the genesis of the idea behind SECONA. SECONA is a registered trust – and is managed by a governing board of eminent professionals. We primarily operate from Mumbai, but recently we have started a chapter in Delhi. Another chapter will be opened in Chennai this year. SLI: How is SECONA contributing to the security industry and environment of the country? Prasad Patil: Well, we are trying to make a difference. First of all SECONA is a platform for users, consultants and technology providers to come together and work on the challenges that I have highlighted above. We are especially working with sectors in the society where protection technology needs to be really applied but where resources are scant – such as schools and religious premises. For such sectors we have already released guiding documents. Secondly, the SECONA Shield Awards that we launched in 2015, in association with Secutech India have certainly gained a lot of traction now. They serve as motivation for good work to be done throughout the year and a positive reinforcement for even finalists. Thirdly, our Annual Security Consultants’ Meet (ASCM) is a unique forum where powerful thought leaders of the industry converge and focus on the sharing and upgradation of knowledge. Fourthly, we have the certification programs in security technology which we are re-initiating, with the next program being scheduled in the month of May 2019, targeted primarily towards end users and solution designers. But I have to be modest in admitting that a lot more needs to be done. We hope to broaden and deepen our efforts in the coming years. SLI: Kindly mention some of the achievements of SECONA. Prasad Patil: One of the enduring comments from a CSO attending a Shield Awards function two years ago was that he had not seen such a big crowd of relevant security professionals at a single event during his time in the industry. So, that I would say, has been an achievement – to bring diverse, and in fact competitive minds into one space and to make them all think of the larger picture, momentarily forgetting their narrower self-interests. SLI: Kindly give a brief about the idea of Shield Awards. Prasad Patil: The real essence of the idea behind Shield Awards was to recognize good and invisible work being done by the CSO community in India. CSOs are the unheralded heroes of our organizations, empowering and honoring them for their contributions is necessary. We have also focused on recognizing the role of women in security, and thus every year there are at least two awards dedicated to them, which are won by women entrepreneurs or professionals in the field of security and safety. We will roll out the College Shield Awards on a wider scale from 2020, to entice the talented engineers of tomorrow and make them realize the potential that the security technology sector offers. Overall, every year we have more than 30 award categories. The entire nomination and selection process is quite rigorous and professionally done. Hundreds of nominations are received, scrutinized and then sent for evaluation by an eminent jury – and the winners are revealed only during the event. I must commend and thank the good people at Secutech India – Manish Gandhi and his team who agreed to partner with us in this entire effort. I must also mention the role of my Co-director Sudhir and our friend Purvesh Gada – all of us are deeply involved in nurturing Shield Awards. It was a sapling planted by us that is growing into a tree now. SLI: The fifth edition of SECONA Shield Awards 2019 is at the corner – what are the new attributes added to this edition? Prasad Patil: Yes, this is indeed a special year – the fifth year! When we started the awards in 2015, there was some self-doubt but the response has been astonishing and continues to grow, and that inspires us to innovate every year even in the awards. In 2019, we have devoted two award categories for popular choice – which means that all of us are the jury. Like every year, we hope we are able to discover some outstanding individuals, whom we will honor. There is also a category of Lifetime Achievement Award – and there is always an excitement around that. Of course the biggest satisfaction that we get during the Shield Awards is when we honor the Safe Educational Institute of the Year. We get so many entries in this category that is really difficult to shortlist the finalists. This particular award always tells me two things – that our schools are indeed becoming safer and that there is a bright future for our industry.